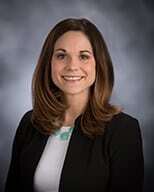 Ms. Bender received her doctorate in occupational therapy at Creighton University in 2006. She is specialized in two emerging areas of practice, lymphedema therapy and cancer rehabilitation. She was certified as a Lymphedema therapist through the Norton School of Lymphatics, and trained in the Vodder method of Complete Decongestive Therapy. She has completed expert training in breast cancer care through Klose Training. She is a member of the American Occupational Therapy Association and the Nebraska Occupational Therapy Association. She is a state advocate for the Lymphedema Treatment act, and is actively seeking to improve awareness and reimbursement for patients with the condition of Lymphedema. She is passionate about providing cancer rehabilitation as a regimented part of cancer care in order to improve survivorship for all patients. Ms. Bender is seeing patients for lymphedema and cancer rehabilitation now.